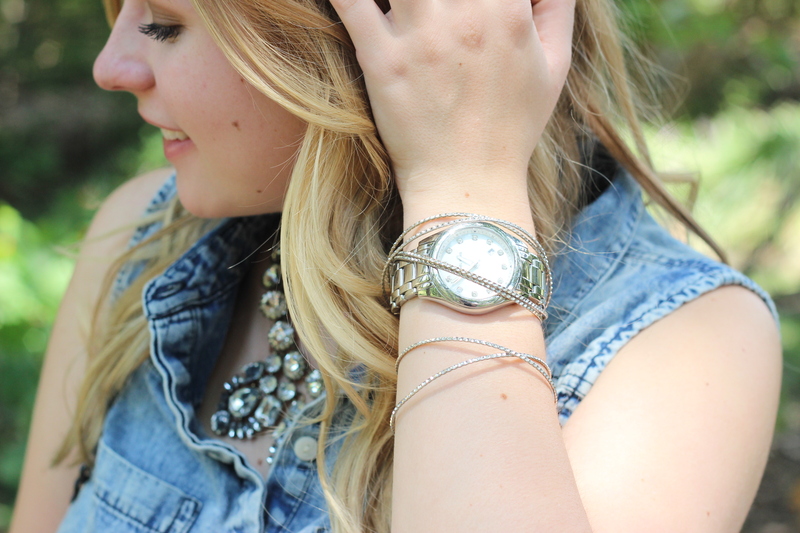 I love dressing up a plain outfit with some fun necklaces! 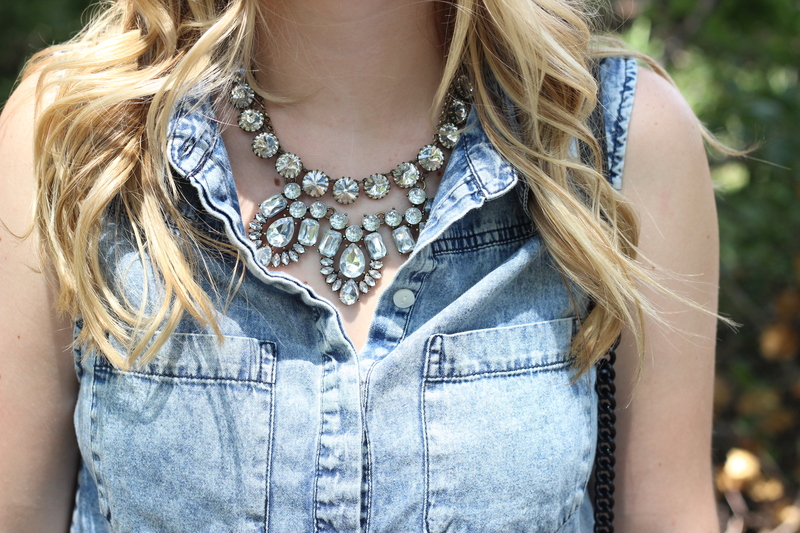 I also love a good jean shirt and this is one of my favorites! 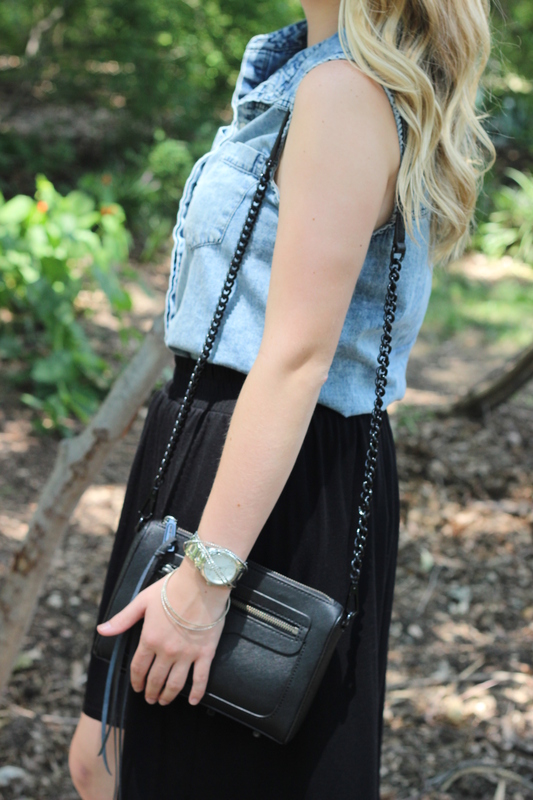 This high-low skirt is also so fun to dress up. Happy Monday!